At the recommendation of a visitor to this site (thanks, Jeffrey! ), I decided to check out Google’s web-based programs (aka Google web apps) for the very first time. I’ve been using Yahoo’s web-based programs for years. 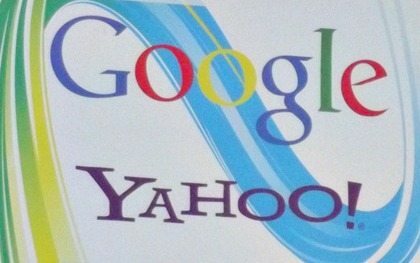 Comparing the 2 different platforms (Google & Yahoo) right off the bat, I’ve found quite a few oddities & shortcomings with regard to Google’s web apps at this point. Whenever there was a lull in the conversation with my husband, I kept repeating to Jim: “I LOVE Google. I just love Google” — because I was so excited about all the possibilities that I could envision by using Google’s web-based applications now! Google’s got a great reputation, and I figure they have the end-user’s happiness in mind most of the time — so I was thrilled to finally make the switch and to “Googlize” most of the things I do online. But then…. after a couple of days trying out all these web-based programs and learning about all the features, I was surprisingly disappointed by a number of details that Google seems to have overlooked at this stage in the game. At this point, I’m not loyal to either Google or Yahoo. I’m still searching for the best way to do all my stuff online. The primary reason I canceled my Yahoo Email account in the first place and got this ball rolling toward exploring Google web apps was because it wasn’t possible to check all of my (non-Yahoo) email accounts at one time. Doing so would’ve streamlined everything I did in terms of emailing — but it can’t happen with Yahoo. In addition to using Yahoo Mail, I’ve also been a regular user of Yahoo Calendar on a daily basis — mostly for scheduling my To Do List for work stuff. But I’ve also used it for my personal day-to-day calendar of events to some degree as well. However, the biggest thing that I’ve used for years now (and still like best about Yahoo web apps) is the Notepad feature — which they recently moved into the Yahoo Calendar app. I’ve used those online notes to jot down every little thing I’d ever want to save — whether it be a random thought that crossed my mind, a non-dated item for my work or personal To Do List, or just about anything else! You can share calendars among friends (or in my case — a spouse). The schedules of those you’ve shared calendars with can be viewed (in an integrated manner) with your own calendar. And they’re clearly identifiable — by color. It’s so easy to add a new event/activity to the Google Calendar. TIP: You can, however, color code things to create your own Google categories workaround. TIP: Here’s how to change your Google Calendar settings. You can’t search for “Suzie” and get instances such as “Suzie’s birthday” — you have to actually specify “Suzie’s birthday” in the Google Calendar search bar if you want to find that. TIP: There are, however, some other cool ways to search within the Google Calendar to find similar events in a single search. Note: These are both accessible from Google Drive. These 2 Google web apps are almost identical to Microsoft Word and Microsoft Excel. Google Docs has a lot of advanced features & capabilities that Yahoo’s text-based Notepad doesn’t have — so Google’s app for word processing is truly a full-featured editor like Microsoft Word is. Google Docs and Google Spreadsheets use “tags” to group things — as a result, it’s fairly easy to jump from one category of items to another that you’ve saved. Google Docs and Google Sheets automatically save the file you’re working on every couple of minutes. In Google Docs and Google Spreadsheets, it’s a cinch to import any current word document or spreadsheet file — no matter what format it was originally created in (.txt, .doc, .docx, .xls, .csv, .pdf, etc). This makes it great when you’re sharing files with others online, editing files you’ve received from others, or reading through your own old files. In Google Docs, you can spell check on the spot. In Google Docs and Google Sheets you can search within your documents using CTL+F, whereas in Yahoo Notepad, you cannot. NOTE: This only applies when using the Firefox browser — but for some reason, in Firefox you cannot search within text boxes. At this time, the data stored within Yahoo’s Notepad appears in a text box, while Google’s does not. This saves more time than you might imagine. You have to manually ‘de-select’ anything that you’ve previously “selected” & acted upon (like changed a tag name, renamed the file, etc), rather than it be de-selected automatically for you. As a result, it slows you down to have to go back & unselect stuff before you move on to making another set of changes to another article or articles that you wish to “select”. You can’t tag a document or spreadsheet at the same time that you write it & save it. Instead, you have to go through a whole other process of “selecting” that doc, then “applying the tag”. (UPDATE: Now you can organize it in a specific folder from the document view or spreadsheet view itself as well). Multiple tags cannot be selected at the same time from a drop-down list — like individual tags can be. Instead, you have to type them individually from scratch and separate them using commas. This allows for errors and duplication: “Did I call that tag ‘car’ or was it ‘cars’?” If you guessed wrong, then you have to go back through the whole process of selecting & deselecting & editing a document. You can’t search for something that has two tags applied to it — it’s either/or… that’s it. You’d think there’d be more of a relationship-applied search utilized by Google at this point. Similar to Yahoo Notepad, whatever text you have in the very first line of your document becomes the title of that document. However, unlike Yahoo Notepad… 1) Google Docs cuts off the title at 40 or characters; and 2) Whenever you change that first line of text in a document, the change is not reflected in the Google Doc title of the article. In my opinion, it should be. Let’s say I prefer to view my list of documents that are tagged “loghomes” in the order that they’ve been edited — so that anything I worked on recently will appear at the top of the list. You can choose to view any list by “edited date”, however, after you go in and view or edit any one of those articles from the list… you are taken back to the MAIN list of all documents you’ve written — sorted alphabetically! Now you have to go back in and click the “loghomes” tag (again) to make those appear in my list, then click “last edited” (again) to sort them in the order in which they’ve been updated. In sum, there are relatively few options as far as viewing and organizing Google Docs and Google Spreadsheets goes. I’m surprised. I would’ve have thought that Google would be way ahead of the curve on this, but Yahoo Notepad wins in the web-based Notes arena — in my opinion — at this time. MAJOR UPDATE: These days, Google Docs far exceeds my expectations when it comes to word processing, word editing, and finding a FREE program that can compare with Microsoft Word. Google Docs absolutely ROCKS! And Google Sheets is nearly identical to Microsoft Excel – -I haven’t found a single feature or a single thing that I haven’t been able to do in Google Spreadsheets yet! When sending email from one of my “other” accounts to my Gmail account, I’ve noticed that the email arrives within seconds of when it was sent! That is truly amazing. Gmail is quick. As long as you use a tabbed browser (like Firefox or Chrome), and you have your Gmail inbox open & currently on top with your Gmail window showing… then you’ll always know when you receive a new email message. This is because the Gmail browser tab itself changes in real-time to show the number of unread messages you currently have. With Yahoo Mail, you can only see how many unread messages you have if you hover on the tab itself (or go to the Yahoo inbox). I like how you can see the first few lines of text in an email before opening it. It’s not a “preview pane” per se, but just a single line of text. You can see: the sender…. the subject of the email… followed by the first line of text from that email. Gmail appears to be very smart about what is SPAM and what is not. Items go directly into my SPAM box automatically — which saves me from having to manually send so many emails there. I’ve checked through them for days now, and only once did a “good” message appear in my SPAM box. On the other hand, my Yahoo Mail inbox is often filled with lots of random SPAM messages that I have to send one-by-one to the SPAM box — it’s kind of a pain. I’ve used Yahoo Notepad for years to save every little thing I’d ever want to use in a future article on one of our many websites. I’ve also kept many of the articles that I’d started, but still needed to research more in Notepad. It was the handiest thing in the world — since my Yahoo Notepad can be accessed from any computer. MAJOR UPDATE: Google’s Personal Homepage was discontinued in November of 2013. I’m leaving the following info here for historical purposes. While Google’s Personal Homepage is a pretty neat feature — especially since you can store things in different “tabs” (it’s like a browser within a browser) — I just don’t need it. A free program called Stickies Post-It Notes makes it easy to change and modify the To-Do Lists you store on Google’s Personal Homepage in “real-time”. It’s good, and simple to use. The only other modification I’ve made on Google’s Personal Homepage is to add my Google Calendar there. It’s not just having the calendar there that I like, but the fact that you can display your “agenda” (upcoming events for the week) in a pretty cool list. This can appear below the calendar itself, or you could turn off the big calendar grid & just show your scheduled events instead. That’s a pretty handy for at-a-glance details without having to keep your full-page calendar open at all times. Overall, I’d give Google’s Personal Homepage a big thumbs-up. If I wanted or needed one place to read everything that’s interesting to me on the web, then this would be the place to organize it all. But in my world, I simply haven’t got the time for leisurely reading — everything for me is task-based at this point instead. Please remember that I’m using these Google web apps for the very first time here. I’m definitely not an expert on Google’s programs, and I welcome your expertise if you happen to have more experience than I at using any of these Google web based applications. As far as Google web apps are concerned, I’m certain that I haven’t discovered the best ways to do things yet — so I’ll continue to post updates here as I find and learn new things about them. Google’s interface is better (e.g. more modern in appearance) overall — and each of the Google web apps I tried appears to be just 1 or 2 steps away from being “perfect”. Yahoo’s programs give you a few more options, resulting in a more personalized (or customized) experience — and what seems to me like more choices and greater control overall. At this point, I’m going to try to use Google web apps exclusively. I’m willing to adapt to what I’m sure will become the most popular web-based applications (eventually) — but I’ve still got a lot to learn. 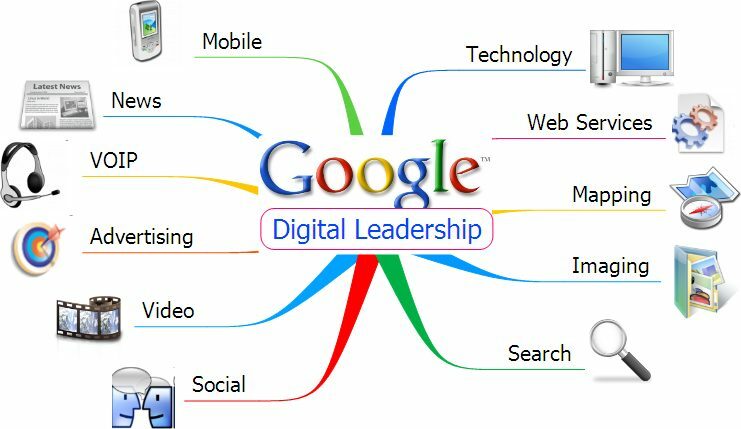 I welcome any tips & suggestions from others who use Google’s web-based programs and Google web apps. MAJOR UPDATE: As it turns out, Yahoo has pretty much stayed stagnant since I first wrote this article. On the other hand, Google web apps have continually been improved upon through the years. Most, if not all of the “negatives” that I attributed to Google web apps above have been significantly improved, and I now I use Google apps exclusively! My online life is now organized, manageable, and easy using these Google web-based programs.